Filing for a divorce in New York is no easy matter if you follow the Muslim faith. Not only do state divorce laws apply, but proceedings must be in accordance with Shariah, or Islamic law. Complications can arise, especially when one couple contends the union was consecrated in another country while the other opposes the marriage’s validity. Contesting divorce cases based on Shariah teachings in an American court can get very tricky. On the one hand, you’ll have a judge who wants to follow state law and on the other, you’ll have the Muslim couple who wants their marriage to be dissolved in accordance with Islamic law. Several provisions of the marriage contract will come into play during divorce proceedings, including the Islamic divorce certificate, civil court order and dowries, along with traditional proceeding details such as alimony, child support, and property division. Enlisting the support of an experienced Muslim divorce attorney is critical to ensuring the case runs as quickly and smoothly as possible. If you have considered filing for divorce in New York, the Law Offices of Elliot Green are here to help. Elliot Green is a Muslim divorce lawyer with offices in Brooklyn, Queens and Staten Island, NY who has experience in working with faith-based divorce proceedings. A family man himself, Mr. Green understands the importance of abiding by Shariah when dissolving a Muslim marriage and values as well as respects his clients’ religious believes. Mr. Green always works diligently to secure a favorable outcome for the divorce while protecting both parties’ rights to assets, property, spousal support, and child custody. 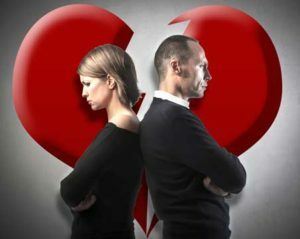 There is a lot at stake when filing for a divorce, even when the couple’s faith is not in question. There are several documents that must be filed and often couples are required to undergo counseling. For a divorce involving a Muslim couple, even more paperwork must be presented and proceedings must be in accordance with the faith. Having a Muslim divorce attorney who understands Islamic terminology, prenuptial agreements, dowries, and the faith itself is crucial to ensuring a positive and swift resolution for the case. Elliot Green understands that dissolving a Muslim marriage can take time and he commits himself to your individual needs. Mr. Green will provide you with the exceptional legal counsel you deserve and will keep you informed of the status of your case throughout every step of the process. Elliot Green takes great pride in working closely with Muslim faith clients to build strong and fair cases for divorce. He will see to it that you obtain your fair share of assets and property and will uphold you and your family’s best interests throughout proceedings. For superior legal services you can trust, turn to the Law Offices of Elliot Green in Brooklyn, Queens and Staten Island, NY today for a free consultation. Together, we will attain the best possible resolution for your case.